Competition is high and it will get fierce day by day. I want success but it plays hide and seek with me! How will I get ahead of my competitors? Is this what you are feeling right now? If the answer is yes, then there is one thing that you must start doing without wasting further time. Start enhancing your knowledge about things/ topics/ subjects in which you feel weak and less confident. I can guarantee your confidence levels will increase when you start gaining more knowledge. 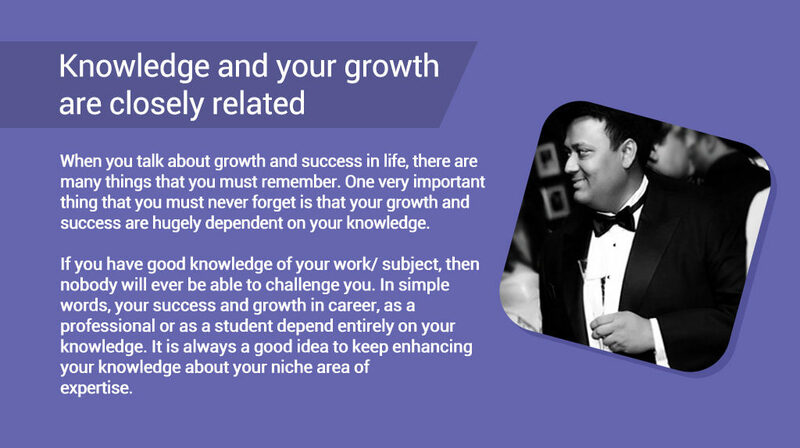 Learn and focus on gathering more knowledge of your chosen field of work/ subject as soon as you can. Knowledge opens the mind and ability to think better than others. When you start thinking different and out of the box, you will leave all your competitors far behind. Do not waste your time worrying or thinking about your growth! Just start learning more and empower your self with knowledge. Previous PostPrevious Get closer to nature! Take a break from your routine life!